A wonderful haven from the outside world! Situated in peaceful Strathbraan, The Bothy is a conversion of a small stone and timber barn set in the grounds of The Smithy near Dunkeld. 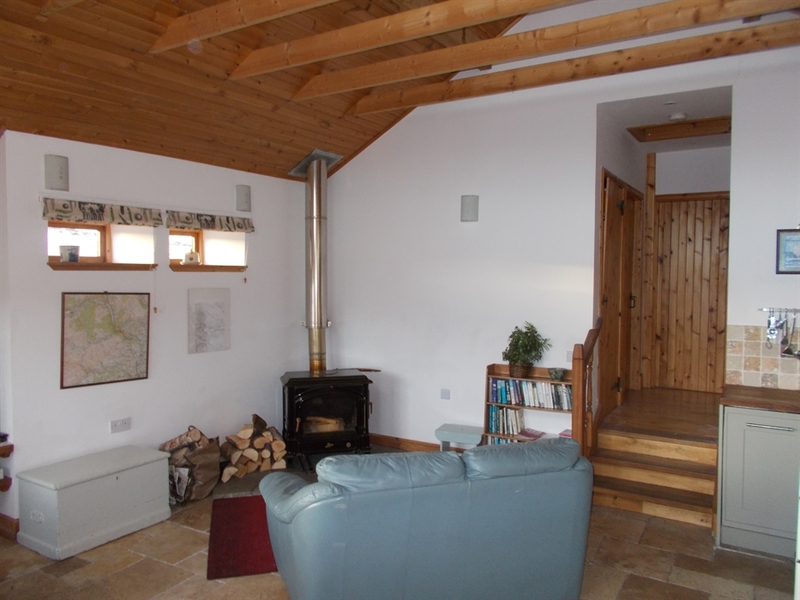 The Bothy provides the ideal opportunity to get away from it all whilst benefiting from good road networks to explore Perthshire or further afield. The picturesque cathedral town of Dunkeld, with its shops and Birnam Arts Centre, is only five miles away. In March the town hosts the annual Neil Gow Festival. Shops and entertainment can also be found in Aberfeldy, Blairgowrie, Crieff, Pitlochry and Perth; which are all within 30 minutes drive. Walking, mountain biking, golf courses, fishing, canoeing and distilleries are all available locally. •Sleeps three in a double room and a single room. •The Bothy is situated half a mile up a private track on 12 acres of pasture and natural woodland. It is in an elevated situation, facing south-west, with a beautiful outlook across Strathbraan. •There is a west-facing patio where you can sit and watch amazing sunsets and listen to the buzzards crying overhead, or the oystercatchers and curlew. Deer and hares are regular visitors to the fields, whilst dippers and ducks enjoy the Tombane Burn. •When there are no clouds the clear skies provide an opportunity for stargazing..
•The Bothy has underfloor heating and a log-burner; electricity and logs are included in the price.